Politician and businessman who is known for being a U.S. Representative for Texas' 16th Congressional District. 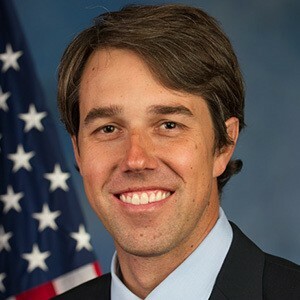 He is also known for having run for the U.S. Senate in 2018 and slightly losing the race to Ted Cruz. He attended Columbia University where he earned his BA in English Literature. He was a member of the El Paso City Council beginning in June of 2005 and ran in his first democratic primary in 2012. He joined the U.S. House of Representatives in January of 2013. He was also known for his music career during his years at Columbia and released a self-titled 7" record on the Western Breed label in 1993. His father was also involved in politics and worked as County Commissioner and County Judge of El Paso. He married Amy Hoover Sanders in 2005. They have three children together. In June of 2016, he endorsed Hillary Clinton in her bid for presidency, becoming the last Democratic congressman to do so during her primaries.